Making some new crossword puzzles for all those avid readers/puzzlers out there. This is a crossword puzzle put together around what GoodReads.com says is the top 50 must-read middle school/middle-grade books. Think you know your favorite book’s author? Give the game a try. Feel free to distribute and share! 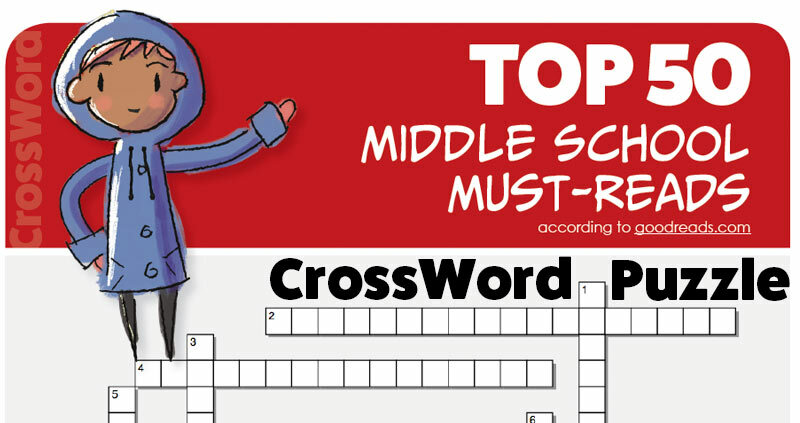 Here is the PDF crossword puzzle: Goodreads.com Top 50 Middle-Grade Must-Reads, Crossword Puzzle. And for all you Middle School teachers looking for the answers, they are right here!